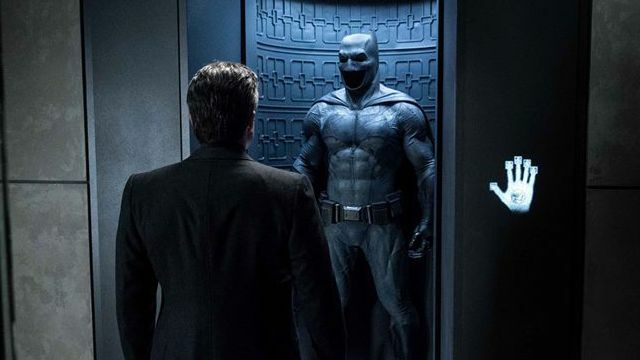 Word broke earlier this week that Ben Affleck would no longer direct the upcoming solo Batman movie set in the DCEU, and hidden among the fallout of that news on Deadline is the nugget of into that writer Chris Terrio penned the most recent draft of the script. The original draft was written by Affleck and comics scribe Geoff Johns. Terrio previously worked with Affleck on the script for Argo, his 2012 directorial effort that nabbed the Academy Awards for Best Adapted Screenplay and Best Picture, but he also penned the scripts for Batman v Superman: Dawn of Justice and the upcoming Justice League. Affleck is still set to produce and star in the feature film, whose logline is mostly a mystery but will feature Joe Manganiello as Slade Wilson, aka Deathstroke, with additional appearances by Jeremy Irons as Alfred and J.K. Simmons as Commissioner Gordon expected to happen as well. The hunt is on now for a new director to step behind the camera, with previous reports indicating that Captain Fantastic director Matt Ross and War for the Planet of the Apes director Matt Reeves are on the shortlist. An official release date for The Batman hasn’t been set. Affleck will next appear as Batman in Justice League, opening in theaters on November 17. You can view photos from that film in the gallery below.